This page caters for South Africans that are family members (either through marriage or through birth) to EU passport holder (other than British). This page primarily caters for South Africans looking to immigrate but there is provision for leisure based travel on the same grounds. The EU Treaty was initially drawn up with the motivation to create “freedom of movement” within Europe. The countries in Europe are much smaller than South Africa. Without a freedom of movement, it would be equivalent to one needing to get a passport and visa just to do JHB:CPT trip (and in some cases even the JHB:PTA trip). That additional work (and administration) is why the “freedom of movement” was created. Smaller countries in Europe needed to reduce administration in controlling and monitoring foreigners passing through the borders. Having an easier visa system also encouraged participating countries to trade easily with one another. With this freedom of movement, different currencies (and exchange rates) became the next logical challenge. Hence the Euro (€) was formed. With the above developments in mind, today South Africans find that a Schengen visitor visa allows permission to freely travel through participating EU countries. One Schengen visa allows permission to travel to any Schengen state. That means a South African can apply at the French embassy for a Schengen visa and once awarded (by the French government), South Africans can visit Italy (without needing to ask permission from the Italian government). Then the British diplomatically came in, with their own terms and agendas. The EU (participating European Union countries) wanted the Pound “£” (and the UK’s economy) to merge under the Euro “€”. At first the offer sounded appealing however the British opted to keep control of their own currency (separate from the Euro). Which was a good move in hind sight (*cough* *cough* Greek financial deficit *cough*). The Brits still managed to join the EU (theoretically). Even though the Schengen visa does not allow entry into the UK (which is strange) and the Euro is not the default currency used (understandably). One can conclude that the British have their own separate agreement with the EU. This is where this EEA Family Permit (this visa in question) comes in. British nationals and their non-EU dependents (South Africans for example) can enter the EU free of charge (free Schengen visas). EU nationals and their non-EU dependents (South Africans for example) can enter the UK free of charge (free EEA Family Permits). The above system describes the UK’s involvement with the EU. This agreement constitutes that the UK is part of the European Union. This system worked well in the beginning. When the 2009 financial recession hit, EU nationals (and their non-EU dependents) flooded into the UK. David Cameron (previous Prime Minister) tried to change the terms of the EU but the policy and agreement terms are very complex. In an attempt to change the terms of the EU treaty (with the UK), David Cameron arranged for the British public to vote (historically on the 23rd June 2016) to either stay an EU member or to leave the EU. This public involvement has lead to “Brexit” – Britain Exiting the EU. The terms of the UK’s exit are constantly being negotiated, both locally (in the UK) and internationally (with the EU countries). No formally agreement has been drawn up yet. Once Brexit transaction is concluded, this visa category will be directly impacted (ie. no other UK visa will be affected). English language requirement is being introduced to this category and we are left to assume that a financially requirement could also be implemented. To best clarify what the current rulings are, interested applicants are encouraged to contact us. South Africans can join their foreign national partners and work abroad. To be able to do so, they need present paper work that evidences their relationship to be legitimate and true and that they have been living in a married like environment. If recently married, applicants can be joined in marriage for a few hours before qualifying for a dependency visa (subject to how long it takes in getting the unabridged marriage certificate in order). Literally we have clients marrying on the Saturday and applying for their visas on the Monday to start their new married lives abroad. If unmarried, applicants need to have been living in a married like environment for at least two years in order to qualify for a family dependent. We have put together a married like relationship page to explain the how the different stages are recognized in visa terms. When it comes to immigration legislation, the British government sat down and drew up their own set of rules which govern their country. The EU (European Union) similarly sat down and drew up a different set of rules. A big difference in terms of the different rules (UK versus EU) is how the legislation makes provision for family dependency. The UK are more private (conclusion based on their legislation). Therefore, the UK make provision for immediate family members to easily join the “sponsor in question”. This means that married like partners and minor dependents (either shared biological, step or adopted children below the age of 18 years) can easily qualify. The EU on the other hand are a lot more open to family members supporting one another. This is shown in their immigration legislation. Aunts, Uncles, Cousins, Nephews, Neices, Parents, Grandparents, Brothers and Sisters can be considered (within reason). With the UK’s involvement in the EU treaty, they have to be open to the terms of the EU’s legislation (only for this visa category). Please note: Although Iceland, Liechtenstein and Norway are not members of the European Union (EU), their citizens have the same rights as EU citizens to enter, live in and work in the UK. Generally these applications, once submitted, take between 10 to 15 working days in South Africa. Yes, it can only take two weeks to get ones’ visa approved- the British High Commission’s Entry Clearance team in the UK are very efficient in this regard. A common question that applicants ask once they have their visas, is when do they need to activate their visas by. (Activation of a visa takes place when applicants pass through Border Control and get their visas stamped by the Entry Clearance Officer). Once visas are activated, applicants can freely travel in and out of the UK for the duration of their visas. Move Up recommends that South Africans should activate their visas within 28 days from the start date that the visa is granted for. Please feel free to contact us for more details regarding the timing of your visa application. 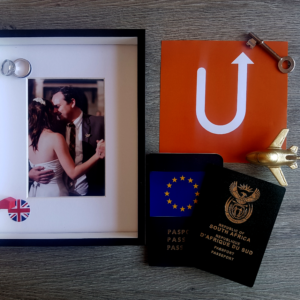 If you are in a married like relationship with an EEA national (listed above) and would like to have agencies assist you in both SA and the UK, then contact a Move Up consultant now. Click here to find out more details about how Move Up provides visa representation in these dependency applications.